I have just got back from the Whisky Festival at the Aoyama Diamond Hall in Tokyo. It was big. I could smell an overpowering hum of whisky as soon as I got the main hall. There were hundreds of people knocking back the free samples on dozens of stalls. The range of whiskies on offer, Scottish, Japanese and others, was even more impressive in reality than it had been on the press release. As things currently stand, February's Whisky Live Tokyo, which I will be giving a full preview to in the coming days, is a more bilingual affair than the Whisky Festival. I saw a few foreign faces today but I think I am right in saying that all the talks were in Japanese. Of course, it doesn't take any Japanese to gesture at a bottle and sup the contents! It was the day before Burns Night. There was a proper addressing of the Haggis, accompanied by a very accomplished Takeshi Mogi on the pipes, and then a veritable stampede for the samples of haggis (see above). The highlight for me was a talk by Ichiro Akuto of Ichiro's Malts and Chichibu distillery fame about his new distillery and his newborn whiskies, which I have tasted and will post about as soon as I get a moment. 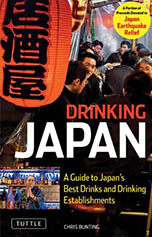 I suppose I should reveal to impatient readers that I am in the middle of writing a book about Japanese alcohol. 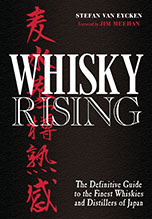 I hope it is going to really be a definitive guide to the subject (not just whisky or sake but the entirety of what I think is quite possibly the most exciting alcohol culture in the world but the research and writing is taking up a lot of time and that means that sometimes I find it difficult to do all that I want to do on Nonjatta. I apologise. After that, I have a contract to write a book about Japanese whisky so, rest assured, my eye is not being taken off the Japanese whisky ball. I will write a little more about what Akuto san said and some of the other things I picked up at the festival when I get a moment (it is 2 am Japan time now). In the mean time, here are a couple of photos of Akuto-san's talk. Thank you Takeshi Mogi for bringing me up to speed with this event and, of course, to the Scotch Whisky Research Centre for making it happen.